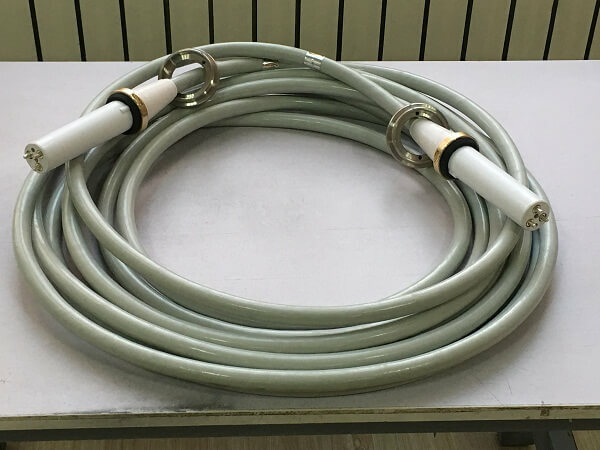 High voltage DC cable 150kv is suitable for ceiling X-ray machine, high-performance, high-resolution flat panel detector, and displays excellent images. Professional image acquisition and processing software system, user-friendly operation interface, easy and happy operation. Precision automatic multi-function design, operating range full electronic control, no projection dead Angle. Automatic control system makes clinical examination easier and more convenient. Simple and quick one-click mode can improve the efficiency and accuracy of photography, optimize the work process, and quickly realize the function of image storage, browsing, querying, printing and electronic report. Newheek high voltage DC cable 150kv is used in the suspension X-ray machine to connect the high voltage generator with the X-ray tube head.The function is to send the high pressure output from the high pressure HV-generator to the two poles of the X-ray tube, and the heating voltage of the filament to the filament of the X-ray tube.